Flipping of the page from Dec 31 to Jan 1 this time has special significance for us. The last day of 2018 was officially our last day of work and the first day of 2019 is our first day of retirement! For three plus decades, Brad & I worked side by side in our business. He eloquently shared on the company blog highlights from the past and hopes for the future. The future is bright as is the sky in the image chosen to start this ‘new chapter,’ the New Year. May you face the year ahead with optimism and gratitude. Oh, and by the way, the dark spot just to the right of the calendar is actually an eagle! Soar, my friends. 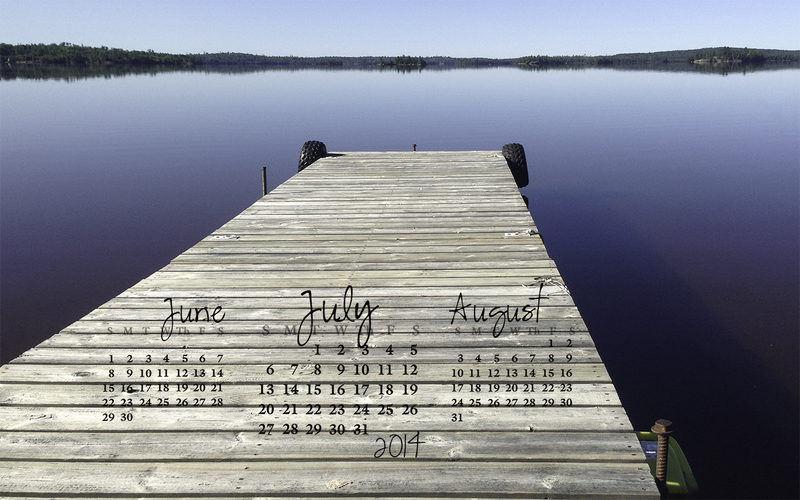 To save the calendar image for your device screen resolution including mobile phone go here. Anyone looking for a tablet size? 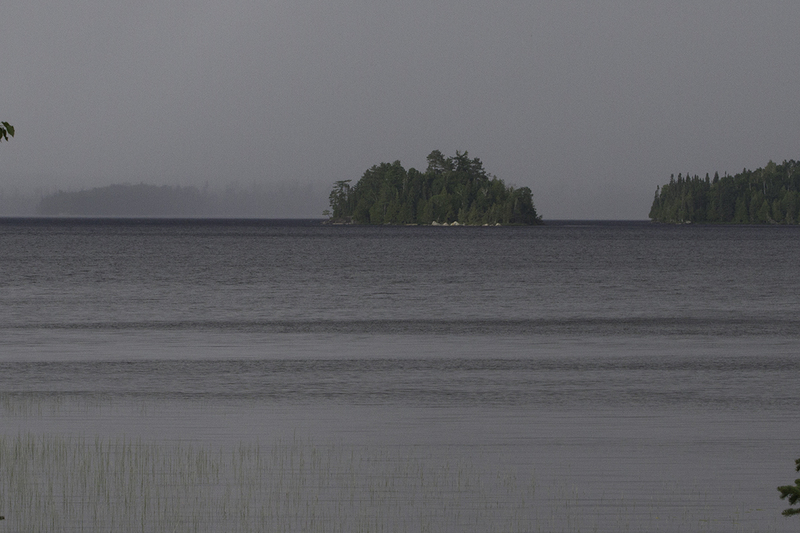 One of my favourite aspects of living lake-side is watching the rain move across the lake. 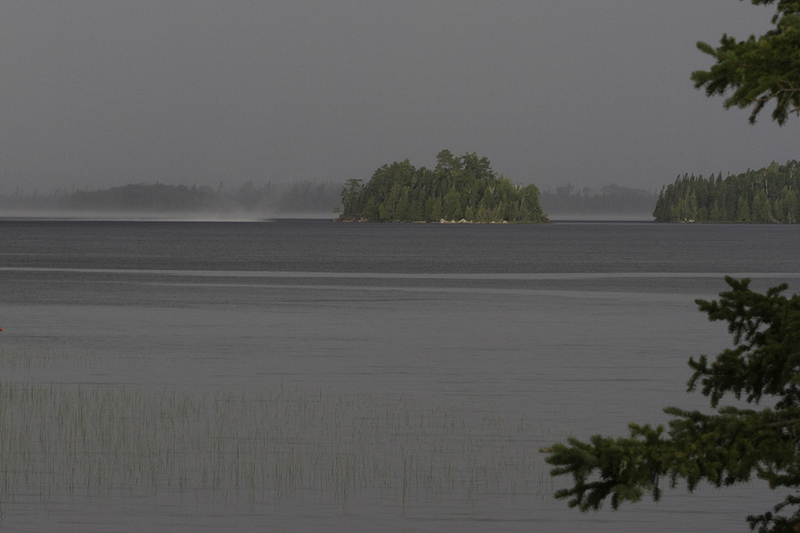 Whether a light shower or raging storm, the sight, sound and smell is amazing. 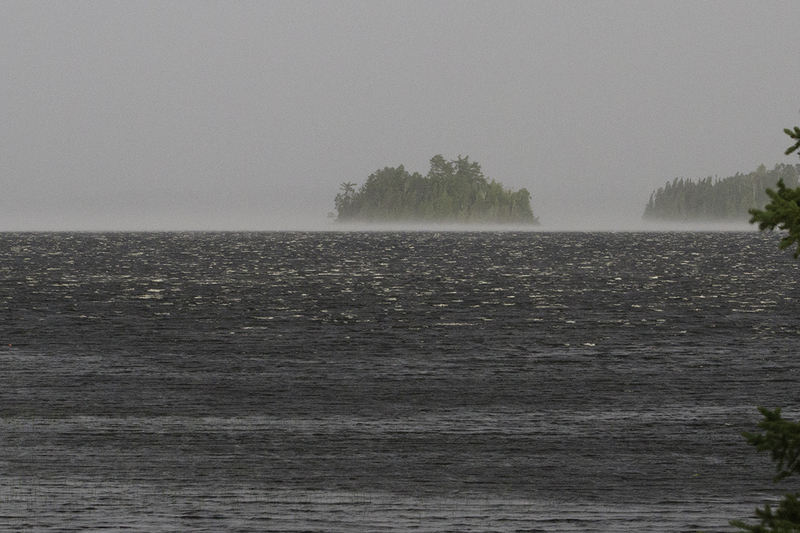 This past week we experienced several days of sudden and brief thunderstorms. 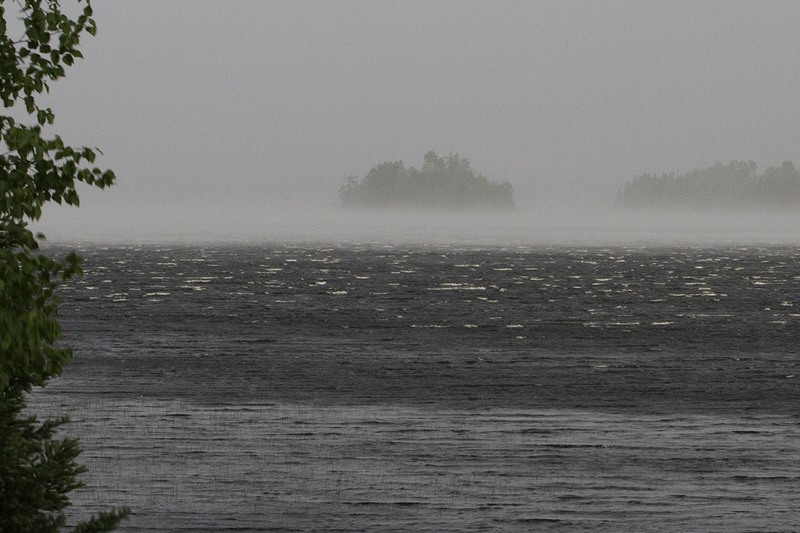 I was able to capture the dramatic change in the colours of sky, shore and water before heading for cover! 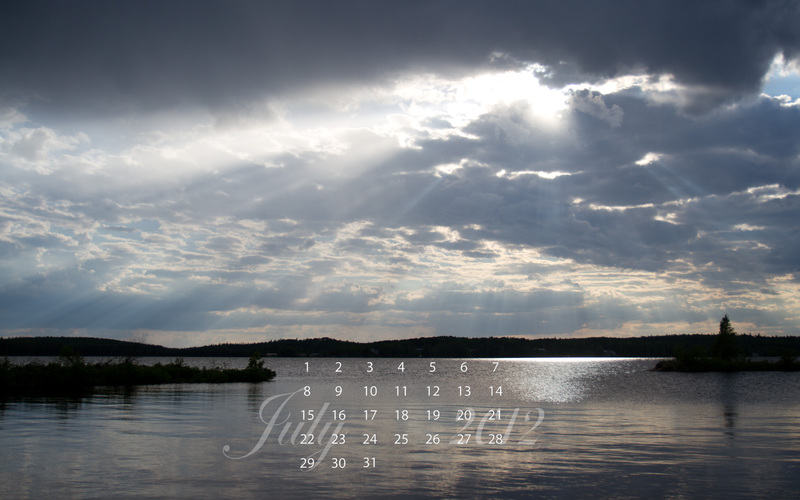 I decided to lay the calendars on two images taken in the sequence but could not decide which I liked better. So, I’ve set them both up so you can choose. Different screen resolutions can be found here. Hi. My name is Karen and I am a procrastinator. If it wasn’t for the last minute, I might not get anything done! My problem is that the list of things I should be doing and want to be doing is unrealistically long and my decision-making skills are too weak to time manage effectively. Has anyone else out there borrowed time management help books from the library and returned them unread (and late) having not been able to make time to read them?! Phew. I feel slightly better having expressed that; not sure it will help but it explains why the calendar is late and the photo quality less than usual. I took the photo this morning with my iPhone 5. My DSLR and gear got left behind at my daughter’s place during a recent visit and I won’t have it back until the week end. Of course I hadn’t scheduled time to capture a calendar worthy photo prior to being away at the end of the month nor had weather conditions been suitable until this picture perfect, calm lake, clear sky morning. It actually, finally feels like a summer day! What does this scene invite you to do? Don’t you just want to run and jump off the end of this dock? Or dip your toes in the glassy water? 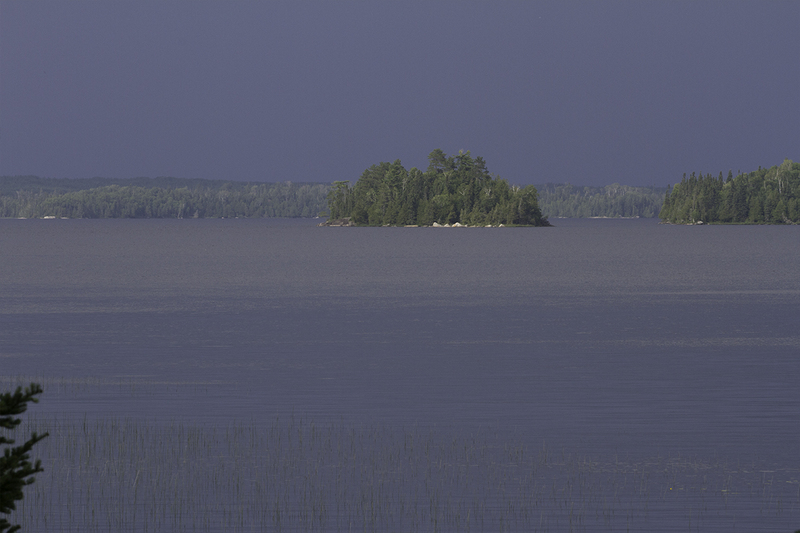 Or set out in kayak or canoe to explore the distant shore? Where ever and however you choose to savour such days, enjoy! The area in which I live has been designated by our provincial tourism body as “Sunset Country”. We regularly get spectacular vistas throughout the year. Of course, those over the water are most beautiful because of the duplication created in the reflection. Part of my daily routine includes checking the west sky for colour as the sun dips below the horizon. Last June we were treated to one of the most colourful skies I have seen. The processors in my camera had difficulty dealing with the vibrant hues. 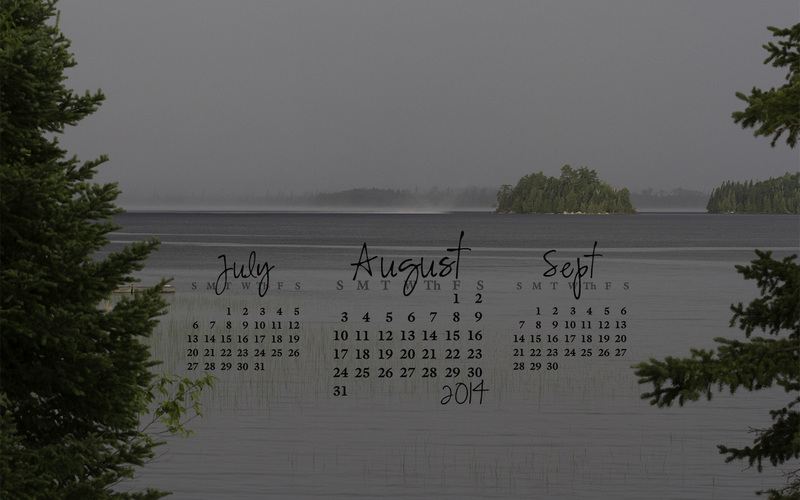 So, here is a desktop calendar for you to download and enjoy. 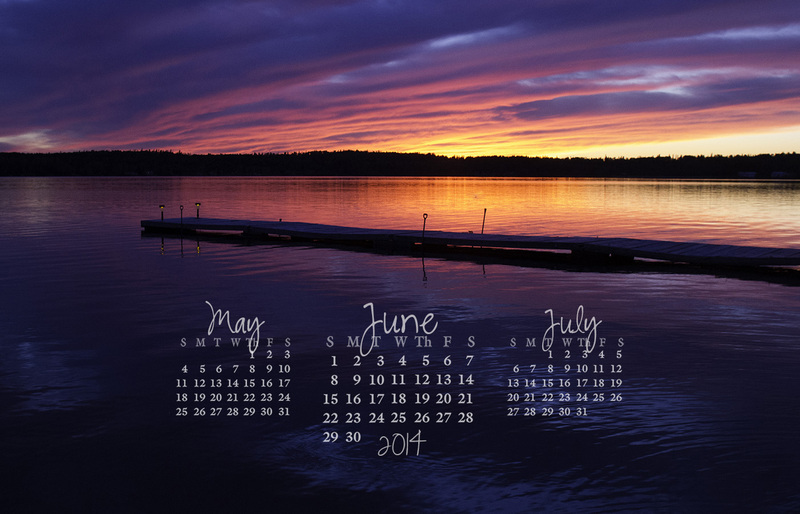 For different screen resolutions, drop down the Free Calendar menu for June 2014. The June ‘super moon’ was setting as we rose for work this morning. It may not look like a super moon but by the time it dropped to the horizon, the sun had brightened the sky so much the moon faded completely from view. I’ll share a few shots of it rising in my next post. These delicate strokes of high altitude ice crystals are part of the cirrus family of clouds also known as mare’s tails. Here’s a cool resource for all things cloud. 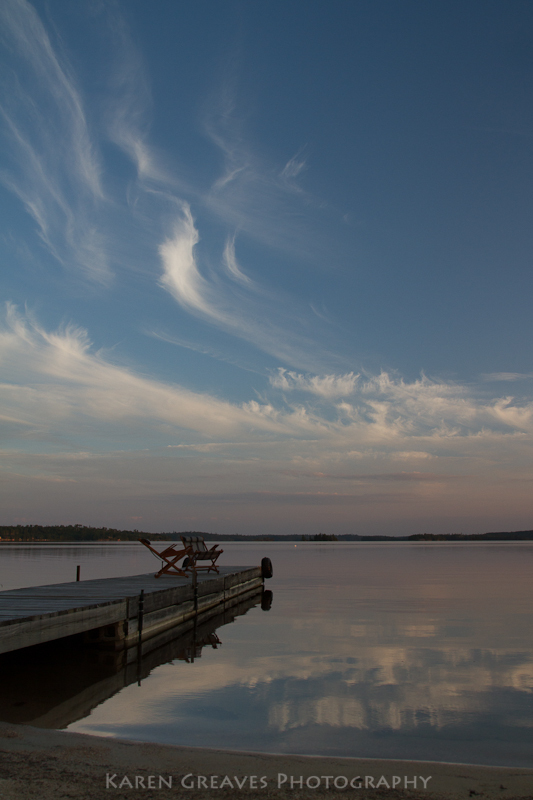 Not only were we treated to these clouds at sunset, but the lake was calm! Calm is a rare treat here at the water’s edge. Calm is my camera’s friend. Very basic but important photo tip: Look for distractions in the entire frame and adjust the angle or zoom accordingly or, if possible, remove the unwanted item(s). It may be easier to do at the time of the shot than in post=processing. Here’s the view from my neighbour’s beach. 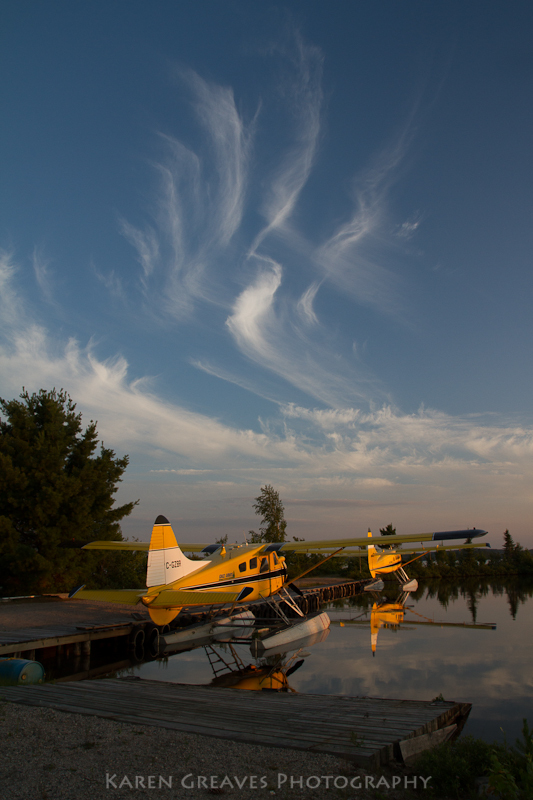 One of the best things about lakeside living is the abundance of sky! For specific screen resolutions go here. 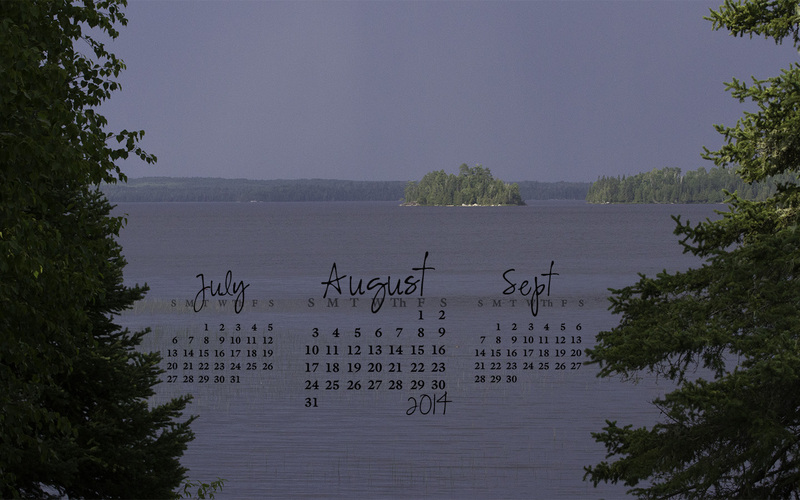 Since I’ve had numerous requests for aircraft calendars, I’ve prepared an alternate calendar which is posted on Ignace Airways Facebook page.